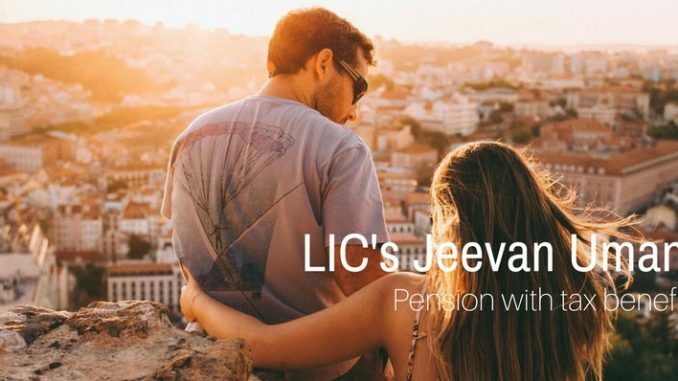 LIC has launched recently a New Whole-Life plan is known as LIC Jeevan Umang Insurance Plan or a long-term endowment policy plan on Tuesday 16th May 2017. This plan is non-linked, with Whole Life Insurance as well as and Limited Premium Payment Option plan. This plan gives a combination of income and protection, including an assured 8% annual return. After completion of premium payment up to 100 years of age and on maturity lump sum amount on maturity or death. Let’s discuss its features, benefits and additional riders and review. 1. The plan is available from age 90 days to 55 years. 2. Minimum Age Entry is 90 days. 4. Minimum age at the end of PPT is 30 years. 5. Minimum age at the end of PPT is 30 years. 6. Maximum age at the end of PPT is 70 years. 7. Age at Policy maturity is100 years. 8. No upper limit to the basic sum assured, but will be in multiples of Rs25k with a premium paying terms having an option of 15, 20, 25 and 30 years. 9. Loan facility is also available under this plan after at least 3 full years premiums have been paid. 10. So, If your not happy with this policy, then you can surrender this policy within 15 days of free lookup period. 11. The unique identification now for this plan is 512N312V01. 1. Death Benefits: – On death before the beginning of Risk: An amount which is equal to the total amount of premiums paid without any interest shall be payable. (c) Total amount assured to be paid on death, i.e. Basic Sum Assured. 2. Maturity Benefits: – On the life assured surviving to the end of the policy term, provided all due premiums have been paid, “Sum Assured on Maturity” including vested Simple Reversionary Bonuses also including a Final Additional bonus, if any, shall be payable. 3. Survival Benefits: – The survival benefit will be equal to 8% per year of basic sum assured and paid up sum assured sequentially. The first survival benefits payment is payable at the end of the premium funding term and following on completion of each next year till the life assured survives or till the policy anniversary previous to the date of maturity, whichever is earlier. Rebates available in LIC Jeevan Umang Insurance Plan: – In this plan, here are two rebates available i.e. Premium payment mode rebate and high basic sum assured rebate. This is the conjunction of whole life plan and money back plan. Therefore, premium looks lower than the regular endowment or money back plans. But this plan carries its own risk of holding as the long term. Liquidity is the largest fear with such plans. Therefore, better to stay away. PPF will generate you more return than those buying a term insurance with a simple product. Then why to hold to it for so long? No risk at all for many to buy term insurance with LIC and invest in PPF. If at all your concern is looking for lowest insurance cover and a good insurance company, then buy the term insurance from LIC itself. How to Link PAN Card to HDFC Bank Account? How to Claim Tax Refund under GST? How to Get Duplicate PAN Card Guide to Apply for Duplicate PAN? How To Create Digital Locker Account?